Cylinder head repair - Opinion's? 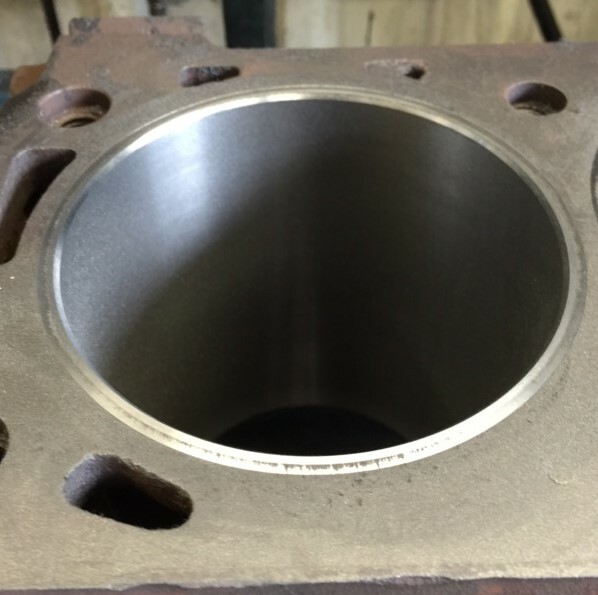 › Cylinder head repair - Opinion's? We did some repairs in the race shop I was in due to high cost of parts to poor racers, lol. We even brazed the thrust bearing web back in a side oiler 427. When NASCAR cars hit wall the crank shaft goes forward and usually destroys block. It looks like I see signs of peen marks to the right in the picture. When you weld cast iron you peen the weld and around it to expand the metal so it does not crack again. So that part would be right. We did not put plug in at the end of crack but drilling at end is common. I have sent stamping dies that broke and had them welded and brazed back together at MPD welding in Michigan. You might give them a shout and that is all they do. They know exactly the right way. I went and watched them weld one die for 3 days around the clock. Sits on big heat table and after all welding and brazing is gradually cooled off to prevent cracks also. It formed the Ford Ranger extended cab inside back and broke into 4 pieces due to hitting more than one part. It fell out of the press. The die ran for years after welding with no quality issues. Use to weld lots of flathead Ford blocks. They have much better weld rods and equipment today than back then also. (03-31-2019, 10:34 AM)Carolina_Mountain_Mustangs Wrote: We did some repairs in the race shop I was in due to high cost of parts to poor racers, lol.